More than 1,000 people filled the Stafford Center auditorium on Nov. 30 and it Was an evening to remember. It was a mesmerizing evening of ‘Bhulee Bisri Yaadein’ - Golden Songs. 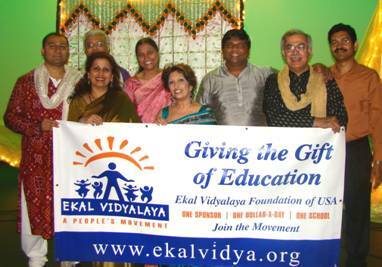 Ekal Vidyalaya Houston organized an appreciation evening to take its sponsors and well wishers back to the music era of 1970-1980. The Melody Makers of Florida did the magic, the audience had the best time and enjoyed every song. This was the special night spotlighting the talent and artistry of the practicing busy doctors and musicians in a kaleidoscope to showcase their unique talents. Ramesh Bosamia of Rahul & I and his son added icing on the cake by screening video clips of the original songs, giving visual effect to the songs. It was so much fun to see the songs from the movies on the screen and listen to the artists voices. At times the audience were so much engrossed in the visuals, that they did not realize that the song was over and gave their applause belatedly. The credit for organizing this event goes to Ekal Vidyalaya’s regional vice-president Praveena Danda and her team. The event started with lighting of the lamps by Kiran Bhutada Ji. 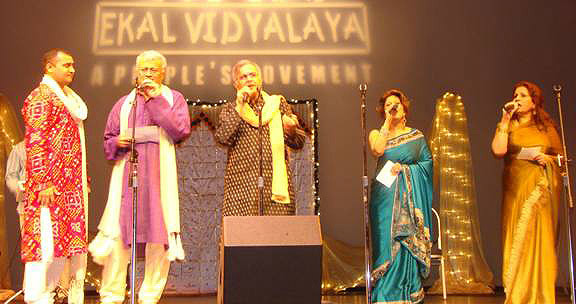 Ramesh Bhutada Ji introduced Dr. Satish Ankalikar and he introduced his team Dr. Niraj Ramachandran, Dr. Naeem Abraham, Dr. Meena Jain, Geeta Rohatgi & Rakesh Patel as singers and Shripad Jail, Vincent, and George Jomy, the musicians. The highlight of the evening was a song from ‘Padosan’, ‘Ek Chatur Nar Kar Ke Sringar’, sung by Niraj and ‘Dhama dham masta kalandar’ sung by Meena where they got standing ovation from the audience. Almost all the patrons were still there well past midnight. Dr. Nita & Padmakant Mehta who never stay at any program after 10:30 p.m. were there till the end. They said after a long time they really enjoyed a music concert, and saw real passion in the voices. No speeches no interruptions, just music. It was a perfect, relaxing evening. 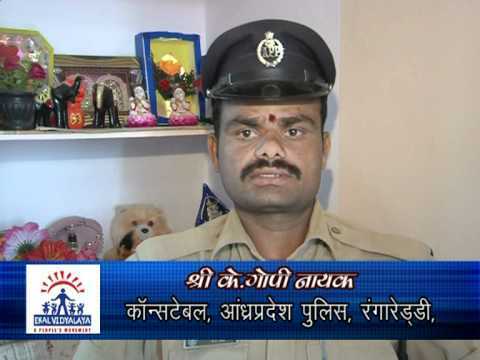 Kapil Gandhi a visiting student from India said “I enjoyed every bit of the program. The most extra ordinary part was that I, who have not heard old songs that much, after listening to tonight’s artists, have started liking the old Hindi songs. The only one word I can say is outstanding.’ An exchange teacher, Aparajeeta Acharya from India on a Fulbright scholarship, attended the program. 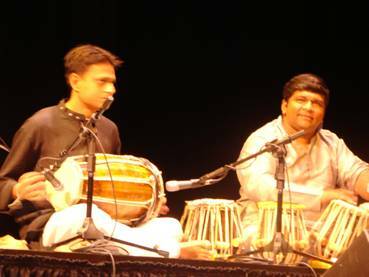 “I had an opportunity to attend an amazing musical night of old Hindi songs called ‘Bhulee Bisri Yaadein’ organized by Ekal Vidyalaya Foundation of USA in Houston. It was really an amazing to see Indians of different religions, faiths and castes come together to remember India. Each of these artists already has careers, many are doctors, PhD students, engineers and each is pursing music as a passion. They, too, come from all parts of India and Pakistan for the cause of raising awareness about the need for education in rural and tribal India. They were amazing, bringing back old childhood memories for many in the audience,” she said in an email. 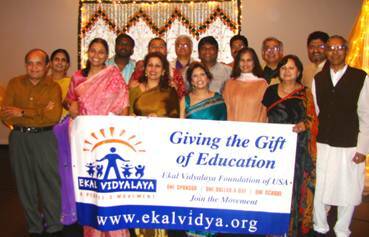 Ekal Vidyalaya has emerged as one of the city's most effective Indo American charities and its volunteers are real ambassadors. They are participating in the Houston Chevron Marathon to be held on Sunday, January 13, 2008. The army of energetic and devoted volunteers, dedicated advisors, and sponsors deserve a word of gratitude. The famous Ekal ‘Masala Chai’ was served free at the intermission. Thanks also go to Hiren Mathuria for decorating the stage. North East Zone at Guwahati - April 5-7 . 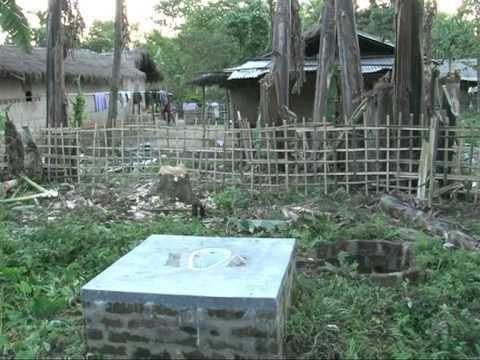 All ekalites are invited for the Samanvay Varg. 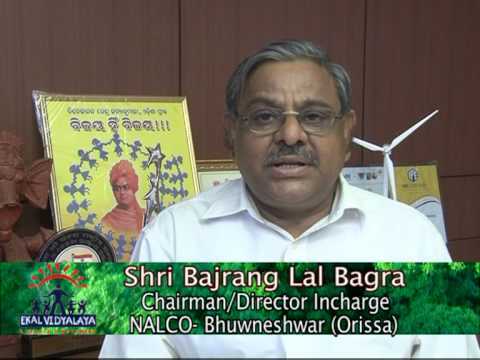 A National Seminar was organized in New Delhi on the 8th and 9th of December 2007 to let others, including the decision makers and opinion leaders know of the Ekal initiatives and also to learn from others working in this field as to what best could be done for the up-liftment of the rural and tribal population. The subject of the Seminar was "EMPOWERMENT OF TRIBAL AND RURAL BHARAT". The Chief Guest for the inauguration session was General J J Singh, (Retd), former Chief of Army Staff. 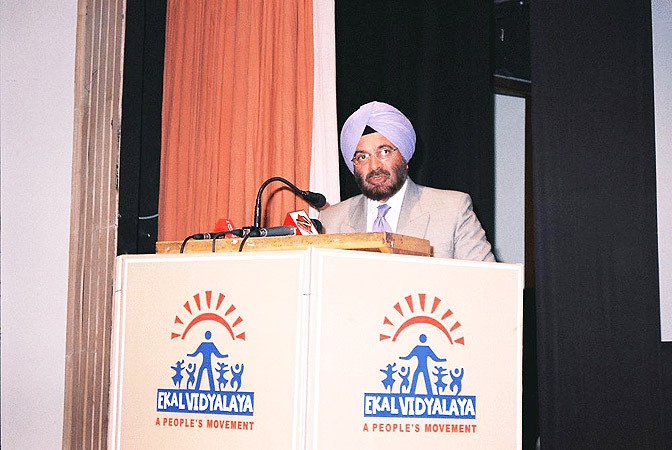 In his address he welcomed the efforts of Ekal Vidyalayas in providing education to the needy in the remote villages. 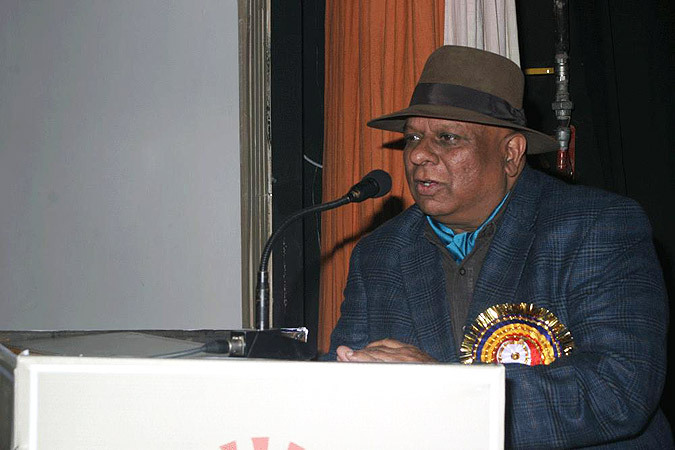 Dr. P. L. Chaturvedi, former Vice Chancellor of Ajmer University, gave a glimpse of what Ekal is doing. Ekal Vidyalaya Foundation of India President Vijay Maroo welcomed the guests and Secretary Ajay Singh gave a vote of thanks. 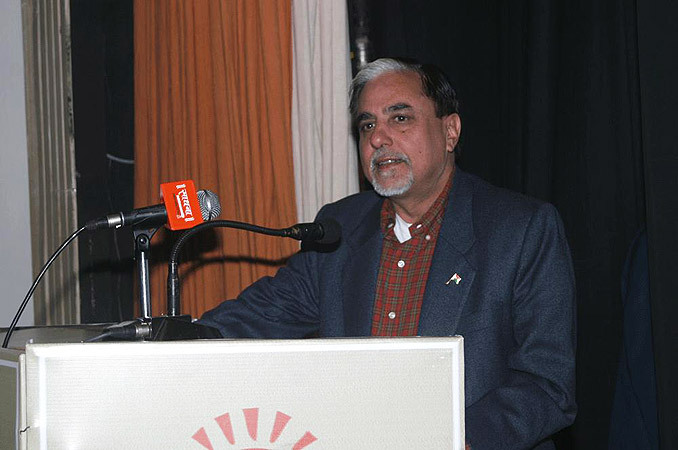 Former Mizoram Governor Sri A R Kohli was the Chief Guest of the concluding session on the 9th December 2007. 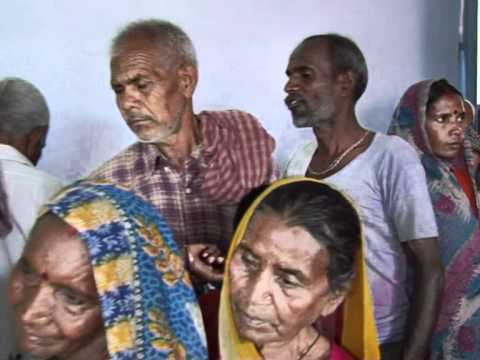 He spoke extensively how job oriented work should be taught to the village folk so that they can earn their living there only and do not rush to the cities. Dr B K Modi of the Spice Group, Sri Gopaldas Bangur, industrialist from Kolkata, delegates from around the country and even USA, Australia and Hong Kong graced the occasion. Contact Information : Nikhil Goel: 703-370-1407 H.
"Chairman of Ekal Vidyalaya Foundation of Inida, Sri Subhas Chandra has been invited to speak at the Education Summit in this Convention. He will give the opening talk. The other speakers include Lord Dalijit Rana, House of Lords, London, Sri Yogi Patel from Pratham, USA and Sri Madhukar Deshpande from Pune. The Chairman of the Session is Sri Vivek Singhal from India Development Coalition. The subject of the Session is Meeting the Need and Challenges for NRIs/PIOs to be Involved in Education for the Masses in India".